Danica Hays and Anneliese Singh, authors of the upcoming Guilford Press book Qualitative Inquiry in Clinical and Educational Settings (tentative publication date, August 2011) will be reprinting an excerpt from Ron Chenail’s 1995 classic article “Presenting Qualitative Data” from The Qualitative Report (http://www.nova.edu/ssss/QR/QR2-3/presenting.html). TQR launched its new Facebook Fan Page on October 22, 2010. The new site, located at http://www.facebook.com/TheQualitativeReport, helps to improve our interactive capabilities with our online community. To further enhance our ability to connect with our readers, we also created a TQR Twitter Page found at http://twitter.com/T_Q_R. Jennifer Pepperell and Tony Adams were named the newest members of the TQR Editorial Review Board. Jennifer is an Assistant Professor in the Department of Counseling and Student Personnel at Minnesota State University, Mankato, USA and Tony is an Assistant Professor in the Department of Communication, Media and Theatre at Northeastern Illinois University, USA. Pamela Smithbell was named the newest member of The Qualitative Report‘s Editorial Review Board. Pamela is currently Director of Social Development at The Leelanau School. She is also pursuing her doctoral degree through Taos Institute and Tilburg University program. Ron Chenail, Sally St. George, and Dan Wulff, TQR Editors, will be presenting “Clients’’ Experiences of Couple and Family Therapy: A Qualitative Metasynthesis” at the American Association for Marriage and Family Therapy (AAMFT) Research Conference to be held July 15-17 in Washington, DC. 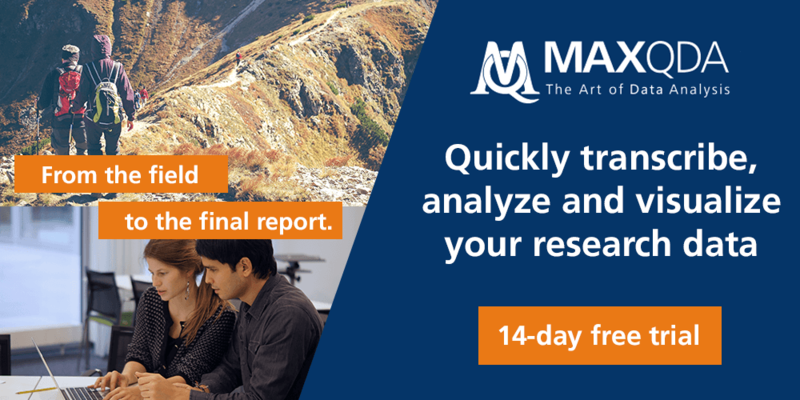 The study, conducted with TQR editors Maureen Duffy and Karen Wilson Scott, is based upon a qualitative metasynthesis of 47 articles centered on clients’ experiences of their conjoint couple and family therapy. At the 22nd Annual Ethnographic & Qualitative Research Conference, TQR Editor-in-Chief Ron Chenail will deliver the keynote address entitled “Getting Specific about Qualitative Research Generalizability” on June 4, 2010 at Cedarville University in Ohio. For more information regarding the keynote and the conference please visit the conference’s home page located at http://www.cedarville.edu/event/eqrc/index.htm. TQR Editorial Advisory Board Member Valerie J. Janesick’s new book entitled, Oral History for the Qualitative Researcher: Choreographing the Story, was just published by Guilford Press. You can learn more about this outstanding new book by visiting its home page at Guilford where you can review the table of contents and read a sample chapter. 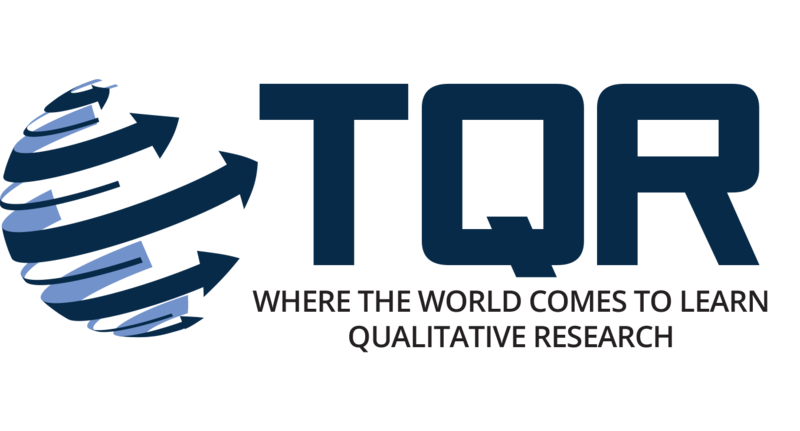 TQR Editor-in-Chief will be making two presentations at the upcoming QI2010 Conference at the University of Illinois at Urbana-Champaign in May. On Friday, May 28th, he is a participant on Chair Roy Ruckdeschel’s Journal Publishinhg Panel discussing a call for an association of qualitative research editors and on Saturday, May 29th, he will present a paper entitled, “Qualitative Research Graduate Certificate, Diploma, and Master’s Programs: A Review of Emergent Missions, Competencies, and Curricula.” If you are attending QI2010 or live in the Urbana-Champaign area and want to talk qualitative research with Ron while he is there, please email tqr@nova.edu. Marilyn Lichtman’s new book, Understanding and Evaluating Qualitative Educational Research has been released by Sage. Marilyn’s edited book also includes TQR authors Emily Bouck’s 2008 paper entitled, “Exploring the Enactment of Functional Curriculum in Self-Contained Cross-Categorical Programs: A Case Study” and portions of Diane Watt’s 2007 paper entitled, “On Becoming a Qualitative Researcher: The Value of Reflexivity. Ron Chenail, along with TQR Board Member Mirka Koro-Ljungberg of the University of Florida and Jan Nespor of the Ohio State University, will be presenting a professional development course entitled, “Diverse Pedagogical Practices and Conceptual Considerations for Developing and Teaching Qualitative Research Methods Courses” on Saturday, May 1, 2010, at the American Education Research Association (AERA) Annual Meeting to be held in Denver, Colorado, USA. Ron is also chairing a roundtable session on “Transnational Qualitative Research” on Sunday, May 2, 2010. If you are attending AERA or live in the Denver area and want to talk qualitative research with Ron while he is Denver, please emailtqr@nova.edu. 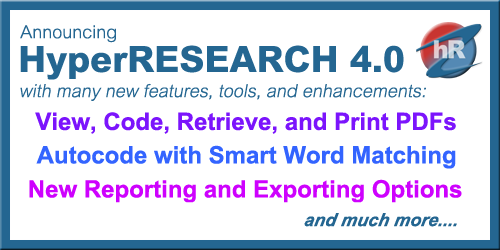 Watch for two new features in The Qualitative Report beginning with the Volume 15, Number 3 issue, forthcoming May 1, 2010: Book Reviews and a How-To Data Collection Series. TQR Co-Editor Laurie L. Charles published “Family Therapists as Front Line Mental Health Providers: Using Reflecting Teams, Scaling Questions, & Family Members in a Primary & Secondary Care Hospital in a War-Affected Region of Central Africa” in the Journal of Family Therapy. TQR Co-Editor Laurie L Charles and colleagues Paula Moebus, Tyler Joshua Pearce, Lisa Beechinor, and Heather Putney presented the workshop “Training Family Therapists for a Future in Humanitarian Mental Health Programming: Using Qualitative Methodology to Build Capacity” on March 20, 2010, at the International Family Therapy Association World Family Therapy Conference, Buenos Aires, Argentina. The TQR Second Annual Conference will feature two exciting plenaries. Khawla Abu-Baker, Ph.D., Associate Professor in Behavioral Science in the Max Stern Academic College of Emeq Yezreel, Israel will present “Anthrotherapy: Reflections of Research and Clinical Work” and Ronald Chenail, Ph.D., TQR Editor-in-Chief, will share “A Dance of Transparencies: Researching Identity and Identifying Researchers.” For more information please visit the conference website. Sally St. George and Dan Wulff will give a talk entitled “Getting Published” at the Second Innovations in Qualitative Research Conference to be held at the University of Saskatchewan, Canada from June 8 – 9, 2010. TQR Editor-in-Chief Ron Chenail will be giving the keynote address at the 22nd Annual Ethnographic & Qualitative Research Conference at Cedarville University on June 4, 2010. 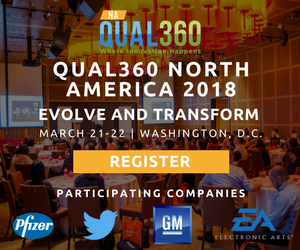 The title of the address is “Getting Specific about Qualitative Research Generalizability“. TQR Editors Dan Wulff and Sally St. George’s new paper, “Drama in the Academy: Bringing Racism to Light”, co-written with Annatjie C. Faul, Andy Frey, and Shannon Frey, was published in the March 2010 issue of Qualitative Social Work. You can read their abstract online. “‘It’s a process:’ Adopting a Positive Mindset” is the first release in our new series, You Got a Minute? In these brief videos we focus on helping viewers accomplish a simple learning outcome. In inaugural clip, Karen Wilson Scott, TQR Editor helps the audience member learn that submitting a paper to a journal for publication is not a one-step process, but an on-going, iterative process. Please view the video on our Facebook page; let us know what you think of the “You Got a Minute?” idea and our first release! The Qualitative Report‘s Facebook page went live on Friday, March 5, 2010. Please drop by and become a member! Pat Cole, TQR Editorial Board member, is co-chairing this year’s FERC – Family Enterprise Research Conference. The conference will be held in Cancun, Mexico April 16-18, 2010 and will be attended by research scholars from around the world. Pat has created and will be chairing an applied research panel discussion calling for researchers to make their findings more user friendly for practical application. The Qualitative Report Second Annual Conference call for submissions opens March 1, 2010. The conference will be held January 7 and 8, 2011 at Nova Southeastern University in Fort Lauderdale, Florida USA. The theme for the conference is “Researching Identity and Identifying Researchers” and the call for submissions opens March 1, 2010. More information regarding the event can be found at the conference web site located at http://www.nova.edu/ssss/QR/TQR2011/index.html. Submission Guidelines for The Weekly Qualitative Report (TWQR) Book Reviews were posted this week on the TWQR web site. The Qualitative Report Second Annual Conference will be held Janaury 7 and 8, 2011 at Nova Southeastern University in Fort Lauderdale, Florida USA. The theme for the conference is “Researching Identity and Identifying Researchers” and the call for submissions opens March 1, 2010. More information regarding the event can be found at the conference web site located at http://www.nova.edu/ssss/QR/TQR2011/index.html. “How Master’s Students Document Stability and Change Withi and Across Progress Notes” written by Cynthia Somers, Joy Benjamin, and TQR Editor Ron Chenail was published in the March 2010 issue of Contemporary Family Therapy. The abstract and full text of the article can be found at http://www.springerlink.com/content/h543865104pj1148/?p=7835410d81294108a867c7d8694a9e3a&pi=2. Recovering Intimacy in Love Relationships: A Clinician’s Guide, a new edited book from Routledge by Jon Carlson and Len Sperry, features TQR Editor Maureen Duffy’s chapter entitled “Recovering Intimacy with Regard to Health, Work and Friendship Issues.” Maureen also has a new paper, “Writing about Clients: Developing Composite Case Material and Its Rationale,” coming out in the April 2010 issue of Counseling and Values. Maureen Duffy, TQR Co-Editor, will be presenting her research on workplace mobbing at the 7th International Conference on Workplace Bullying and Harassment hosted by The Centre for Research on Workplace Behaviours at the Glamorgan Business School in Wales. The conference will be held June 2-4, 2010. Links to PowerPoint slides and other presentation materials from The Qualitative Report Inaugural Conference are now available online at the conference web site. At its annual meeting, The Qualitative Report Editorial Board voted to change the journal from a quarterly to a bi-monthly publication starting in 2010. The Board also approved increasing the number of papers published each issue from 10 to 12 papers. The six issues of TQR will be published in January, March, May, July, September, and November. The first issue of Volume 15, Number 1 January 2010 is now available. Ron Chenail, TQR Editor, will be presenting a workshop entitled “Introduction to Qualitative Research Design” at the “22nd Annual Primary Care Research Methods & Statistics Conference to be held January 22-24, 2010 at The Menger Hotel in San Antonio, Texas USA. The conference website can be found at http://familymed.uthscsa.edu/research08/pcrmsc/22nd_2010/conferencehome.asp.